Here's my entry for Hels Sunday Stamper challenge 164 with the theme of Black. A sad week all round so the card is very simple with Memories as the key point. 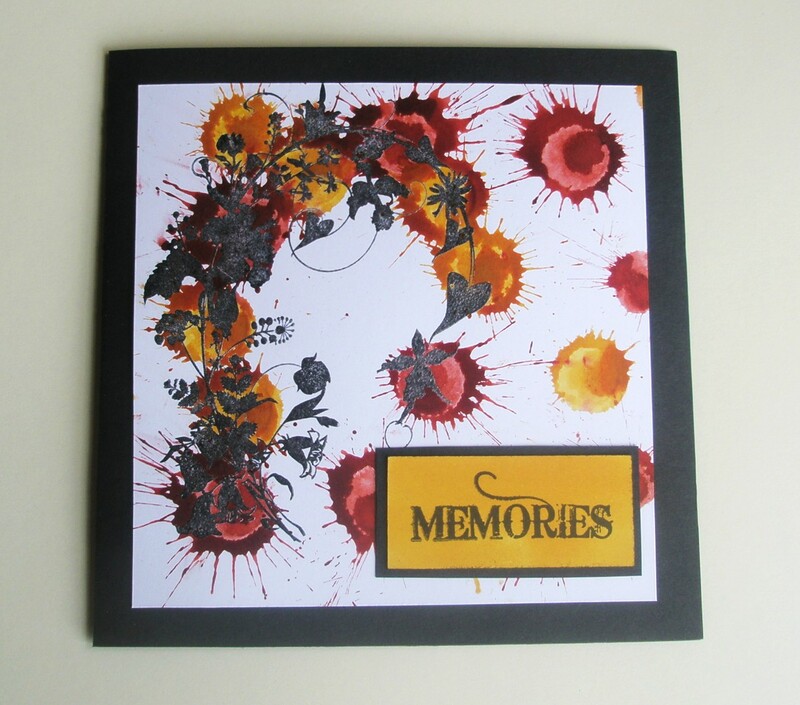 The background is Fired Brick and Wild Honey Distress Stains slammed onto the card in a random fashion - love the splatters but not necessarily those that are now on my T-shirt...doh!! 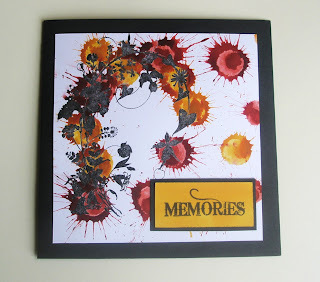 I've black embossed the foliage stamp from Tim's Fairytale Frenzy set and Memories is a 7gypsies stamp.